The Club for Growth just launched a new website, “Primary My Congressman”, part of an effort to get establishment Republicans in line – but mostly to find replacements who can better serve their agenda. And they have Renee Ellmers in their sights. They’re mostly mad at her for voting with the establishment too often, including her vote to raise the debt ceiling. They have a button where viewers can recommend a primary opponent. One of those potential primary opponents could be Lee County Commissioner Jim Womack, a Tea Party conservative who is rumored to be behind a Tea-Party oriented blog. It’s worth noting that Renee Ellmers easily surived a primary challenge from two other conservative candidates back in 2012. But none of them were “name” candidates, nor did they receive much financial support. 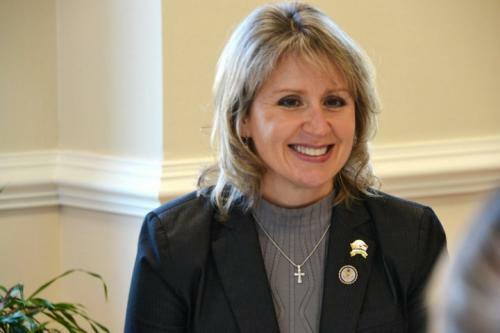 A concerted effort by the Club for Growth could make things messy for Rep. Ellmers. This wouldn’t be the first time the Club for Growth has intervened in NC politics. Last year, they heavily supported Iredell County dentist Scott Keadle against ‘establishment’ Republican Richard Hudson. Hudson’s Washington background was enough for the Club to conclude that he merited defeat. But this effort failed, and Hudson handily defeated Keadle in the runoff for the 8th Congressional District seat. The news could also complicate Rep. Ellmers’ Senate ambitions. Whichever office she decides to run for – reelection or a Senate bid – she’ll have to deal with this target on her back.